Where are you from? Hopefully, you know. Personally, I’m not sure. I’ve lived in Utah for years and my kids are from here. I spent much of my early childhood bouncing around from eastern Washington to Minnasota to Alaska, back to eastern Washington. But, when I was eleven we moved for the last time. We moved to western Washington. We lived outside of Olympia. This was not what nearly killed him, although it probably drove him slightly crazy. But, the second thing I remember is looking at the side of the freeway and seeing the incredible green plants. In hindsight they were Scotch Broom and blackberries, both weeds. But, to me, they looked like they were planned and planted. I didn’t realize they grew wild, and worse. I never realized I grew up with briar patches until I was working for Microsoft and a trainer from North Carolina came out to Washington and labled our blackberry bushes as “briar patches.” But, as a new transplant from the desert of eastern Washington, blackberry bushes were amazing. The fruit just grew wild on them and you could stop on the side of the road and pick all you wanted. No one owned them. 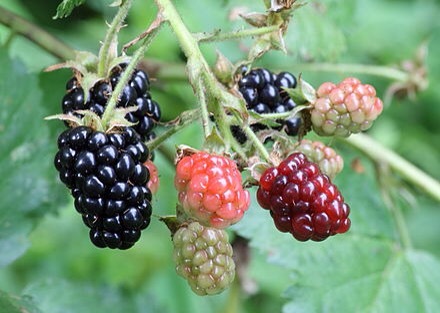 I laugh every time I see blackberry starts sold in nurseries. No. those are weeds. Tasty weeds, but weeds non the less. And it was my lack of understanding of blackberries that nearly killed my poor dad. My brother and I decided we were going pick a bunch of blackberries. My dad loved them on ice cream and it seemed like an low-key way to get to know him better. He didn’t go pick with us. If he had, the unfortunate event later wouldn’t have happened. How do you start at a new employer? Do you rush in and make an impact right away? That might sound like a good idea. Everyone wants to hire someone who can “hit the ground running,” or as my former boss would mis-malign it, “Hit the ground rolling.” But, is that really the right course? Typically, the things you think you know don’t exactly mesh with the new culture. It might be better to do a lot of watching and listening and less talking until you figure out how the organization runs and who the major players are. It might also be valuable to figure out how to identify ripe blackberries. Well, if your business has blackberries. My brother and I picked at least two cups worth of the dark delicious looking fruit. We didn’t even eat any ourselves. we were determined to let our new dad have all of them. I don’t know exactly how many he ate. But, do know that he about died from the tartness. An unripe blackberry tastes like you steeped a lemon in vinegar and dusted it with alum.